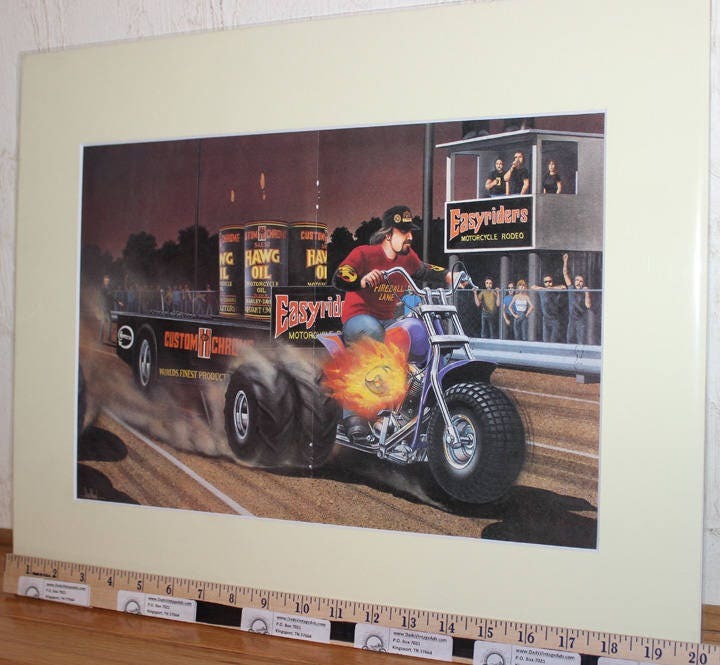 "Joe Teresi (Easyriders publisher) asked me to paint a picture of this guy on the rodeo circuit they call Fireball," David explained of the extremely combustible sled driver seen here. 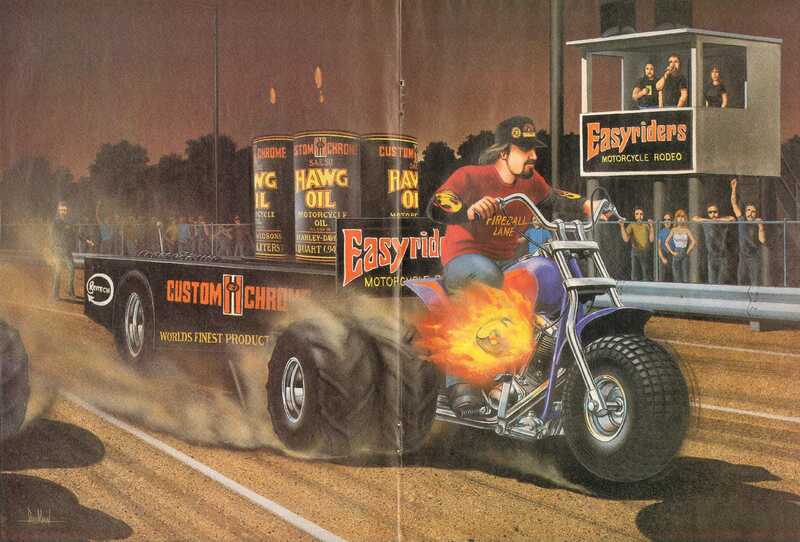 Bobby Torres worked for Leon Hatcher (former owner of the profoundly purple and hard to miss Easyriders trucks). And he decided the action was too good to just sit by and watch. Although replaced (and some would say usurped) by the Evolution motor, a properly tuned and cared-for shovelhead motor would rarely fail to deliver the brake horsepower goods. This trike is more lethal than legal, and in the hands of a dedicated rodeo rider, it never failed to be a show stopper. David's illustration does, in every sense, capture the raw churning of determination necessary to see a task to its completion...even if it occasionally means blowing up a motor and starting all over again.